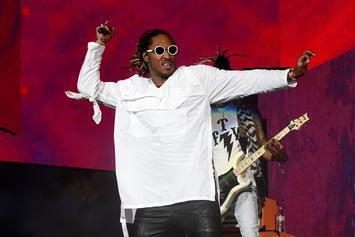 Future explains why he kept lowkey in 2018. 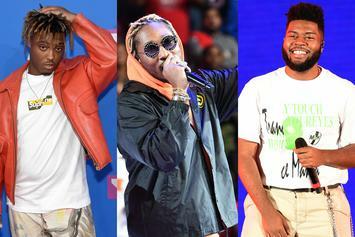 "The WIZRD" drops this Friday on Apple Music. 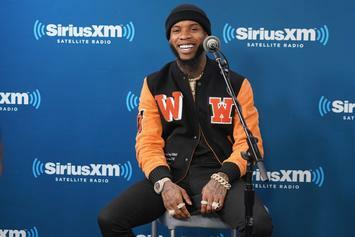 Tory Lanez logs an entry in the Top 5. 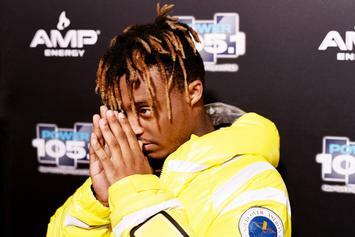 Juice WRLD was flattered by the comments but chooses to remain neutral. 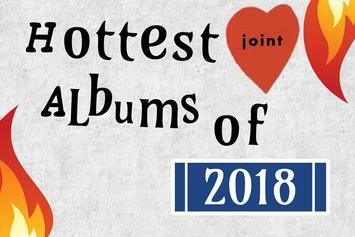 The most streamed album of the week. 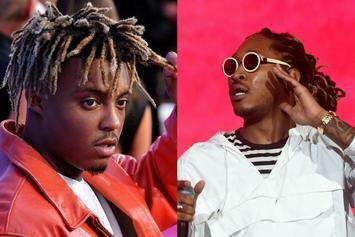 Futre, Juice WRLD, and Khalid all make their debuts. 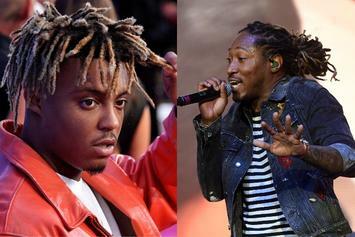 Future and Juice WRLD aren't as odd a couple as they initially seem, but "WRLD On Drugs" showcases their lopsided talents. 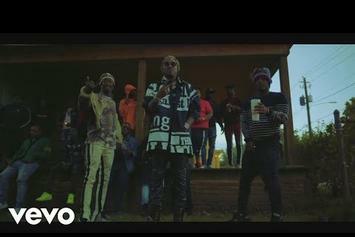 Juice WRLD & Future come through with their new music video for "WRLD On Drugs." 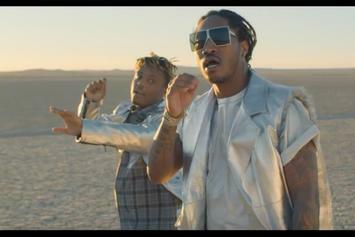 Future & Juice WRLD Drop Off New Cole Bennett-Directed Video For "No Issue"
Check out Future & Juice WRLD's new video for "No Issues." 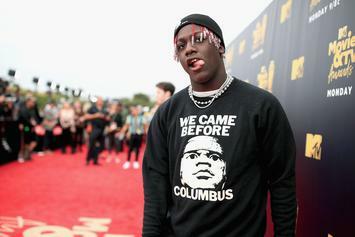 The merch drop includes tie-dye shirts, hoodies and lighters. 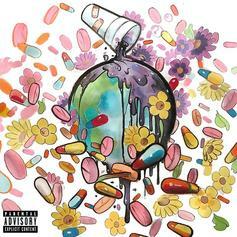 Future & Juice WRLD tackle the many euphoric channels of drug use on "WRLD on Drugs." 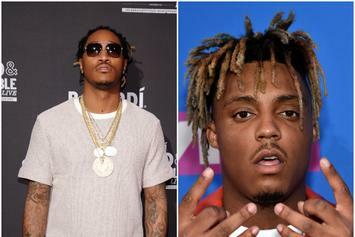 Future and Juice WRLD may grab #1. 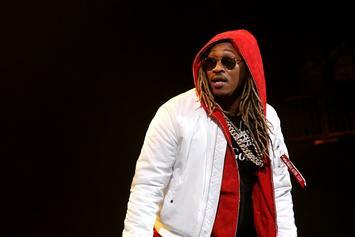 Nicki Minaj Cautions Against Bag Stoppage On Future's "Transformer"
Future & Young Thug Baptize Juice WRLD In Slime On "Red Bentley"
Future and Young Thug fill Juice WRLD's soul with "the slime." 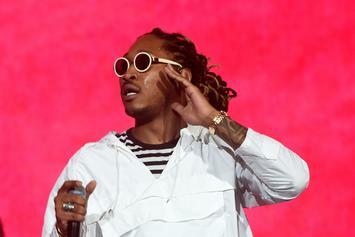 Is Nicki Minaj Sending Subs At Cardi B On Future's "Transformer?" Some fans are convinced that she is. 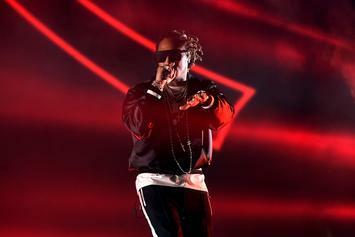 Future & Lil Wayne Rap About The Deadly Pain Killer On New Song "Oxy"
Listen to Future & Lil Wayne's new collab "Oxy." 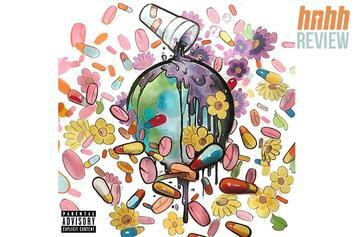 Future & Juice WRLD drop off their joint project "WRLD On Drugs." 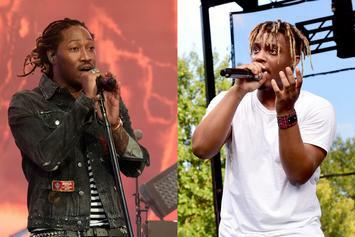 Future and Juice WRLD's "WRLD On Drugs" arrives tonight. 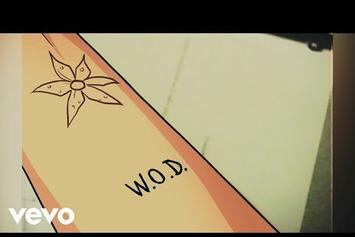 They also shared a tentative tracklist for "WRLD On Drugs" as well.